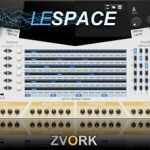 ZVORK delivers simple and efficient products for the Propellerhead Reason music software using their proprietary Rack Extension technology. 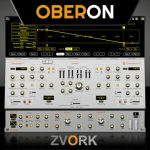 Oberon is our latest instrument based on our latest generation additive engine. Simple intuitive controls give you access to immense control over your sound with editable multi-point curves for envelopes, wave forms, filter response curves and more. Designed to give you the richest of sounds with is Unison and Octave virtual voices, it is also a tool for exploration, in the best tradition of additive synthesis. 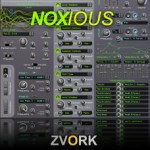 The Noxious is our first synthesizer with an original synthesis engine. Based on additive synthesis, it keeps things simple so you keep control of the sound you want. Its original sound lets play and experiment in ways not possible with traditional subtractive synthesis. Le Space is a versatile multi-echo device with programmable taps and wide stereo field. Especially focused on rhythmic delay effects, it can also be used for a wide variety of echo sounds, choruses or even reverbs. Broaden your mix and give air to your sounds with this effect. Our first player Rack Extension: the ST100 lets you play strummed chords on any Reason instrument. 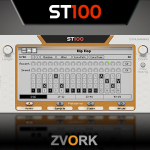 With a built-in strum stroke pattern sequencer, quickly add rhythmic spice to your songs. 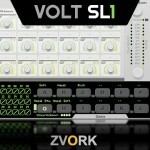 The Volt SL-1 is a control signal switching, crossfading and selection unit dedicated to live performance and DJ’ing. The Volt CB-1 is an advanced control signal mixer that enables complex cross device modulations. The Volt SH-1 is a control signal sampling and filtering unit with the unique capability of separate filter settings for rise and fall fronts.